Chad and Qatar restored diplomatic relations, their governments said, six months after the West African nation cut ties with Doha in the wake of a rift among Arab states. 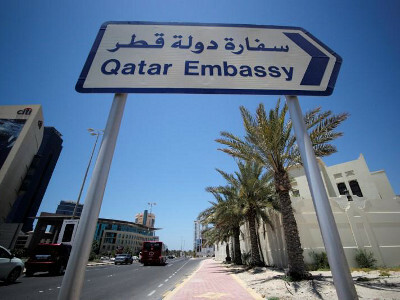 Chad closed Qatar’s embassy and expelled its diplomats last August, accusing its government of trying to destabilise Chad via its northern neighbour, Libya. The move came after Saudi Arabia, the United Arab Emirates, Bahrain and Egypt cut diplomatic and commercial ties with Qatar in June for allegedly supporting extremist groups, meddling in their internal affairs and backing regional foe Iran’s agenda. Qatar denied all the accusations. In a statement reported by the Qatari state news agency QNA, Qatar’s foreign ministry said the two countries’ foreign ministers signed a memorandum of understanding on Tuesday to resume diplomatic relations. “A victory for both countries’ diplomacy; one based on the principles of dialogue and common interests that bring peace and prosperity to both nations,” foreign ministry spokeswoman Lulwa Rashed al-Khater wrote on Twitter. A spokesman for Chad’s foreign affairs ministry confirmed relations would be restored. West African countries Niger, Mauritania and Senegal also cut ties with Doha in solidarity with the other Arab countries. Senegal reinstated its ambassador to Qatar in August to encourage the Arab states to resolve their dispute. Qatar remains isolated by trade and travel sanctions imposed by its neighbours. ISS: Was France’s military intervention in Chad a regression?